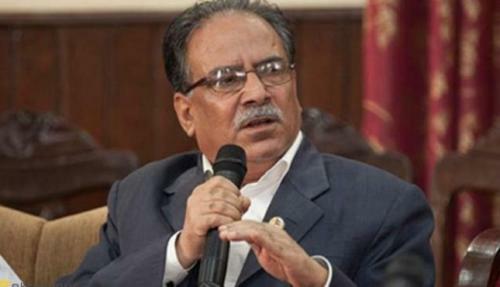 Chitwan– Chairperson of Nepal Communist Party (NCP), Pushpa Kamal Dahal 'Prachanda' has said that all political changes had become successful only through a national consensus. Inaugurating the Gems World Fun Park at Lanku of Bharatpur Metropolitan City-4 today, Chair Dahal that People's movement 2062/63 BS and comprehension peace accord had been possible only through national consensus. Saying the people are desperate for employment opportunities, prosperity and production increment, the former Prime Minister said development and prosperity are main priority agenda so as to fulfill aspirations of the people. The NCP Chair also expressed gratitude to the owners including Govinda Tiwari and Mahesh Tiwari for constructing the park, which he said would disseminate a message to the Nepalis aspiring for overseas employment. Similarly, Nepali Congress general secretary Dr Shashanka Koirala stressed the need for taking along opposition on the path to country’s prosperity and development. “We (NC) want to play a constructive opposition.